“Salesforce.org is dedicated to changing the way companies think about corporate philanthropy. Today, we’re excited that NewVoiceMedia is joining us in giving its resources back to the community. NewVoiceMedia announced today that it is among the first U.K. companies to join Pledge 1%, a corporate philanthropy movement which launched in the U.K. this week. Founded by Atlassian, the Entrepreneurs Foundation of Colorado, Rally and Salesforce.org, Pledge 1% empowers companies to donate 1% of product, 1% of equity, 1% of profit or 1% of employee time to improve communities around the world. NewVoiceMedia is one of the first to join Pledge 1% U.K., which has more than 25 companies joining the movement at the time of launch. NewVoiceMedia is joining an impressive network of entrepreneurs and companies across the globe that have committed to philanthropic efforts through the Pledge 1% movement. By pledging 1% of its time and product, the business is demonstrating a commitment to philanthropic leadership. NewVoiceMedia is a leading global provider of cloud technology which helps businesses sell more, serve better and grow faster. Its intelligent communications platform integrates seamlessly with Salesforce to connect organisations with their customers worldwide, enabling them to deliver a personalised and unique customer experience and drive a more effective sales and marketing team. “Salesforce.org is dedicated to changing the way companies think about corporate philanthropy”, said Suzanne DiBianca, president, Salesforce.org. “Today, we’re excited that NewVoiceMedia is joining us in giving its resources back to the community. This is another great example of the power that business has to effect positive change”. “We are thrilled that NewVoiceMedia has joined the Pledge 1% movement and is committed to sharing its success with the community”, said Scott Farquhar, co-founder and co-CEO, Atlassian. “Employees, shareholders, customers, and the community all benefit when a company builds giving back into its DNA. It’s one of the best decisions we ever made". “We believe Pledge 1% is a great step for businesses to become a force for good in the world”, said Ryan Martens, Board Chairman EFCO & Founder/CTO, Rally, now part of CA Technologies. “We applaud NewVoiceMedia for committing a portion of its success to its community stakeholders and social impact”. Pledge 1% is an effort spearheaded by Atlassian, Entrepreneurs Foundation of Colorado, Rally for Impact, Salesforce.org and Tides to accelerate their shared vision around integrating philanthropy into businesses around the world. Pledge 1% encourages and challenges individuals and companies to pledge 1% of equity, product and employee time for their communities, because pledging a small portion of future success can have a huge impact on tomorrow. Pledge 1% offers companies turnkey tools and best practices, making it accessible for any company to incorporate philanthropy into their business model. 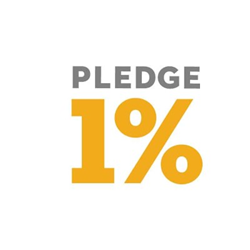 To learn more or to take the pledge, please visit http://www.pledge1percent.org.